I had secretly harbored a bias against México for years, perhaps because of tales I’d heard about tourist traps such as Cozumel and Tijuana. 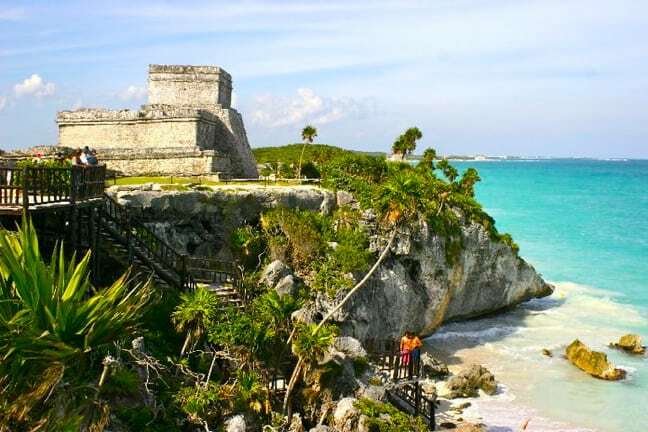 But the Riviera Maya really surprised us, especially the ancient Tulum and Coba Mayan ruins. 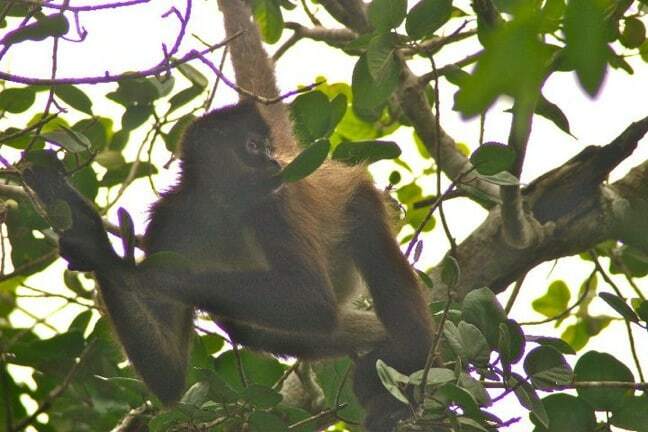 By the time we finished tracking monkeys in the treetops of Punta Laguna, exploring Rio Secreto, and taking the all-day Jungle Maya Expedition, we were sold on the region as one of our favorite ecotourism destinations. After touching down in Cancun, we made the 90-minute drive to have lunch in Tulum, a sleepy beachside community full of American ex-pats, then headed to the famous pre-Columbian ruins there. 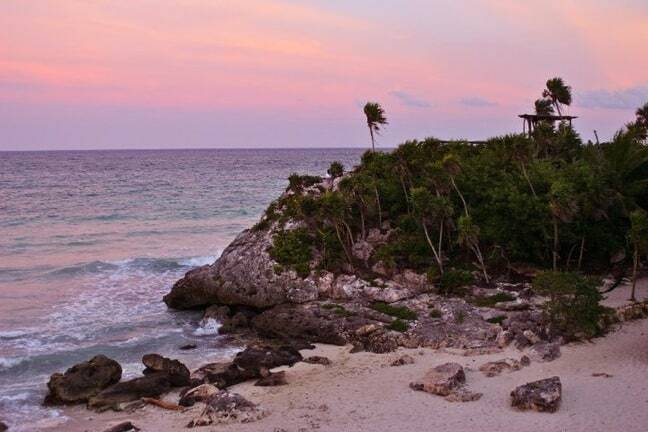 Situated on steep cliffs along the east coast of the Yucatán Peninsula, Tulum is remarkably well-preserved. Scholars believe the site was once used for worship, with architecture resembling that of Chichen Itza, but on a much smaller scale. 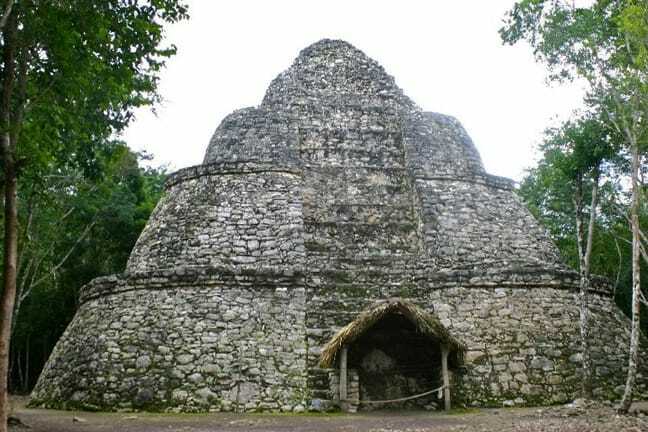 The spectacular buildings at the site include the Temple of the Frescoes (which features niched figurines of the Mayan “diving god”), the Temple of the Diving God (which includes an impressive Mixteca-Puebla style mural) and El Castillo (which features a shrine that appears to have been used as a lighthouse-style beacon for incoming canoes). Set against the rich aqua hues of the Caribbean, it was a stunning introduction to the Riviera Maya. If we could only recommend one activity in the Riviera Maya, it would have to be the Jungle Maya Expedition we took with local eco-tour operators AllTourNative. Working hand-in-hand with the Mayan natives from whom they rent the land, the company takes guests on an incredible all-day outdoor adventure unlike anything we’d ever experienced before (or since!). The amazing trek started with snorkeling in the crystal clear fresh water of Cenotes, underground caves which the ancient Mayans believed were their spiritual connection to the underworld. The Sac Actun cenote system is the world’s second longest underwater cave, stretching over 130 miles, and was featured in the BBC documentary Planet Earth. Using only our guide’s tiny flashlight, our group made its way to the Nohoch Nah Chiich Cavern, which has been explored by National Geographic specialized cave divers. Our guide said prehistoric skeletons of mastodons and other ancient species had been found here. 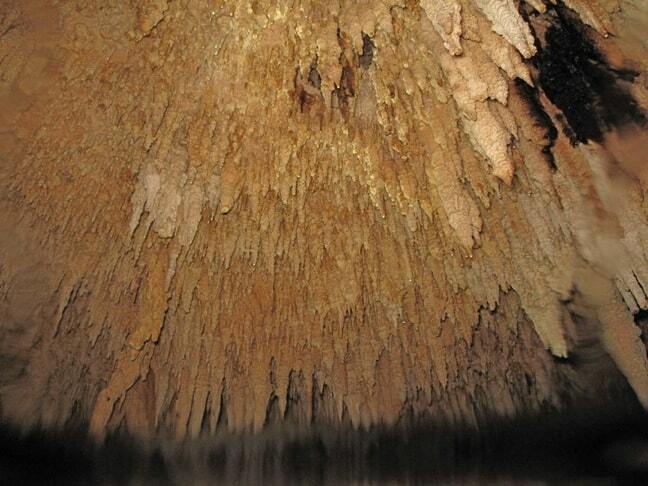 But all we saw were bats, fish, stalagtites and stalagmites… which, as you can see, were incredible! But snorkeling was just the beginning. After the bumpiest ATV ride you can possibly imagine in Mercedes Benz Unimogs, we went mountain biking deep into the jungle for a zipline tour that provided excellent views of the lush landscape. 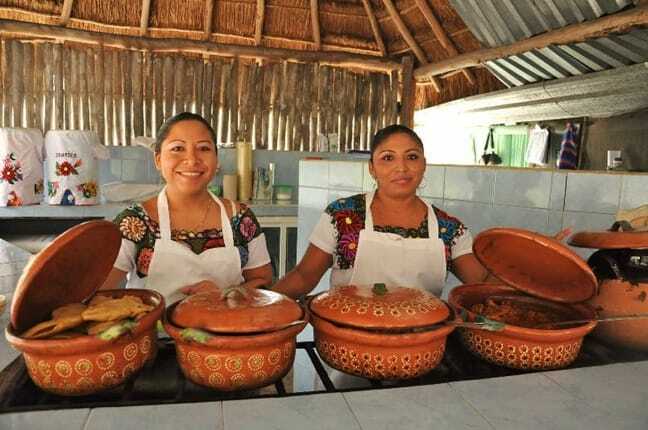 By the time we returned to the center of the village for a traditional Mayan-style lunch of Achiote-spiced chicken, empanadas and Horchata, we were famished. Doesn’t that spread look appetizing? Mary got claustrophobic inside Nohoch Nah Chiich, but for me the most intense part of the day was being strapped into a harness so tight it made me doubt my future ability to generate offspring, then rappelling 40 feet down into a cenote. I’ve always been a little unnerved by heights. But once I got a feel for it I really enjoyed our descent, and the cenote itself was gorgeous. We finished the awesome day of adventure by getting blessed by a Mayan shaman in one of the underground caves. Nearly everywhere we went in the Riviera Maya, we found amazing sights and experiences in the most unexpected and off-the-beaten-path places. 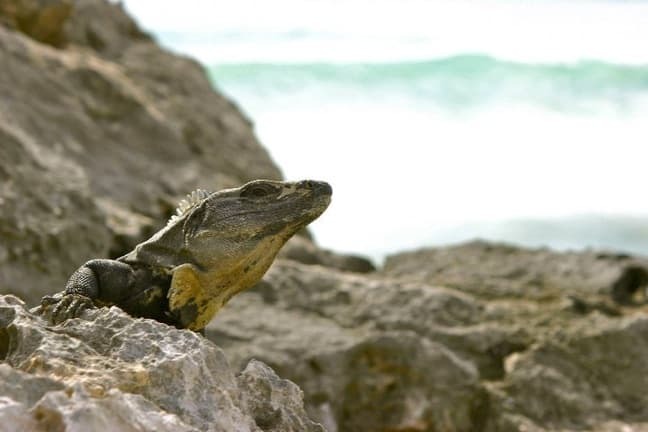 Located 12 miles from the Coba Mayan ruins, Punta Laguna Nature Reserve is home to dozens of Spider Monkeys as well as raccoons, coatimundi, deer, wild boar, jaguars and, in the lagoon for which the property is named, crocodiles. We had a great time tracking monkeys who were feeding in the treetops… even when this little guy nearly peed on my head! We had to move rooms at our tiny beach resort, Piedra Escondida, due to the threat of a hurricane hitting the Yucatan Peninsula. Despite some high winds, that storm ultimately passed us by. 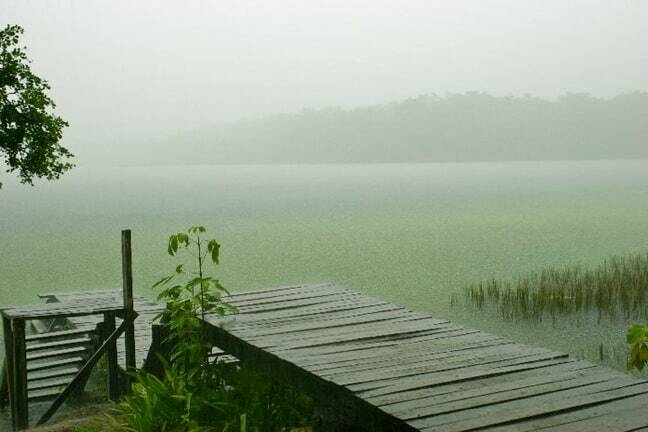 But we were deluged with SERIOUS rain at the end of our visit to Punta Laguna. It was the most beautiful downpour we’ve ever seen. Back at the hotel, I clambered up some rocks by the beach to take a photos of kids fishing in the crashing post-storm surf. I found this handsome fella sunning himself there, as surprised to see me as I was to see him. Even the flora of the Riviera Maya looked exotic and interesting to us. 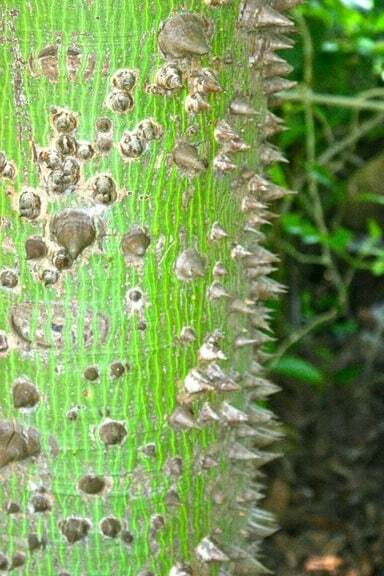 Between the vivid green lines and the huge spikes, this tree seemed to broadcast loud and clear that it was not to be trifled with. In the quaint town of Akumal, we rented snorkeling gear and headed out straight from the beach. With the shallow depths, calm waves and clear skies, the water was impeccably clear. Within an hour we spotted three Sea Turtles, a school of cuttlefish, several manta rays, hundreds of colorful tropical fish, and a big barracuda over four feet long. 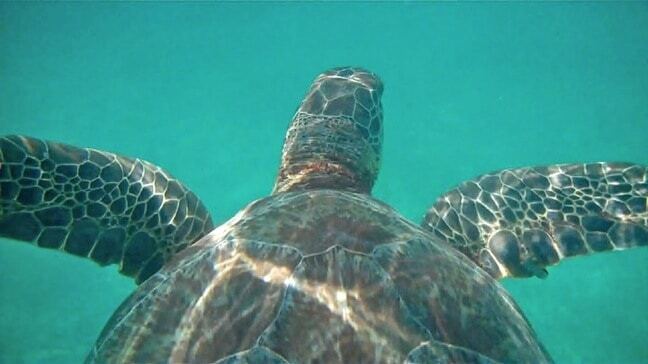 Considering how close we were to shore, it was some surprisingly impressive snorkeling. One of our favorite Riviera Maya experiences was our tour of the Coba Mayan ruins. Larger and more expansive than Tulum, Coba is a sacred site estimated to be over 2,000 years old, and is believed to have been home to at least 50,000 inhabitants. Though well-known for centuries, it wasn’t examined by scholars until the 1920s, and didn’t become a major tourist attraction until the 1980s. We walked around La Iglesia Pyramid (where the Mayans made their sacrifices to the gods), which took archeologists over 10 years to excavate and restore. 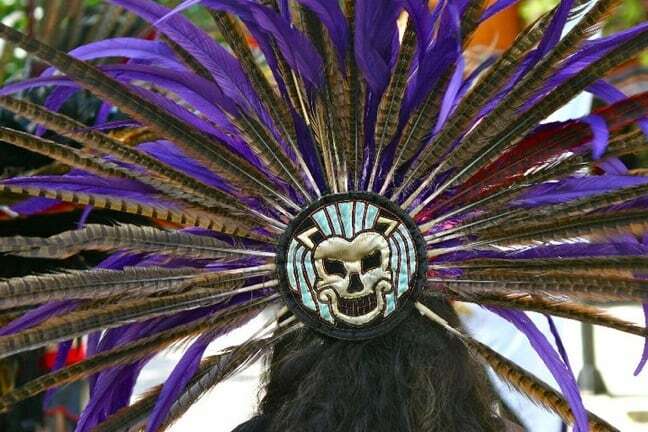 We strolled the court of the Mayan ball game known as Pok Ta Pok, in which the winners were sacrificed to the gods. And finally, we rode bicycles to climb the main attraction, the Nohoch Mul Pyramid, which at 138 feet is one of the tallest Mayan structures in Mexico. Climbing the stone steps to the top was one heck of a workout, but provided exceptional panoramic views of the surrounding area. 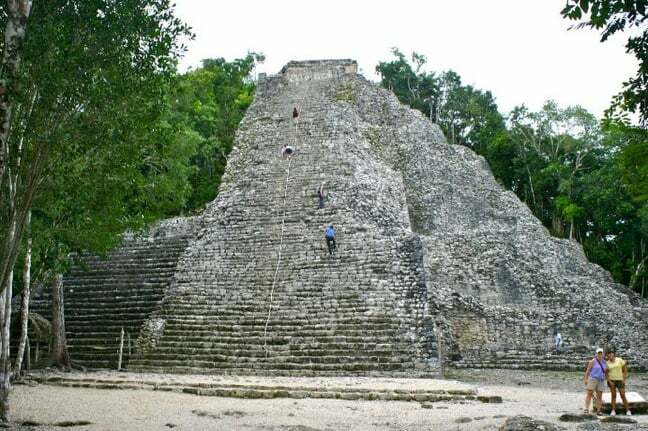 With more than half of the Coba Mayan ruins still waiting to be excavated, the site is a relatively uncrowded must-see for fans of archaeology and history. On our last day, we went horseback riding on the beach, then headed to Playa del Carmen for dinner and shopping. 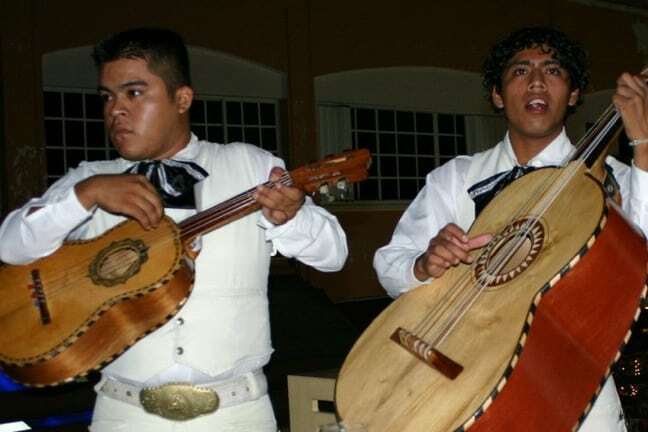 It was a perfect way to wind down our time in Mexico, especially since I was able to fulfill a romantic dream of mine by flagging down a strolling Mariachi band to serenade Mary.